In Pokémon GO, many players complain about connectivity issues with the Nintendo Switch. Now Niantic has spoken up and promised improvement. With the Meltan event in Pokémon GO just launched, many players also want to have a miracle box for them to have a chance at Shiny Meltan. The Wunderbox but you get only in conjunction with the Nintendo Switch and right there are problems. 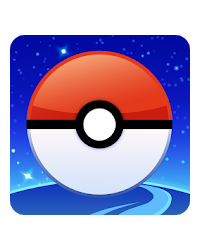 Since the last update of Pokémon GO many players complained about difficulties. They could not connect their account with the switch and therefore also no Wunderbox get. Niantic has now but via Twitter reported and has proposed a solution. Niantic says: Niantic explains that the problem can be solved easily: "Coach, we can confirm that the latest update affects the connection between Nintendo Switch and Pokémon GO. If you unplug the Pokémon GO from the switch and reboot the switch by holding down the power button for 3 seconds, you can reconnect. " On Reddit, numerous players confirm that this solution fixes the problems. Afterwards the players were able to reconnect with the switch and get a miracle box. Did you already try to connect with your Switch? Share your experiences with the community using the comments below!